Read the Full Opinion Here! 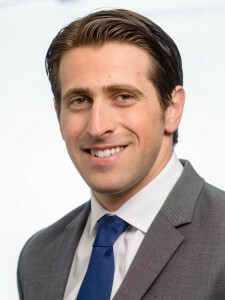 Barry.Corrado.Grassi & Grassi congratulates attorney Chris Gillin-Schwartz, Esq. on his recent win in the New Jersey Appellate Division. In 5 Perry Street, LLC v. Southwind Properties, LLC, the court agreed with our position that defendant Southwind’s last-minute attempt to transfer property to the sole corporate principal was an endeavor to evade the company’s debts and defraud our client. What is more impressive, this is neither Mr. Gillin-Schwartz’s first trip to the Appellate Division nor his first victory. In addition to his other areas of expertise, Mr. Gillin-Schwartz is quickly making a name for himself as an appellate advocate.